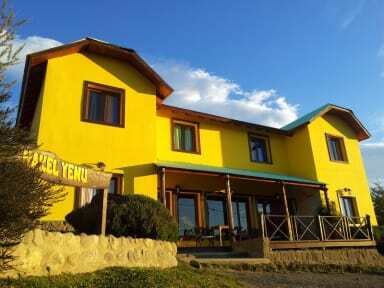 Here you will find a cozy vibe, relaxing atmosphere and good music, things that you will enjoy especially after an all-day hike and trekking. 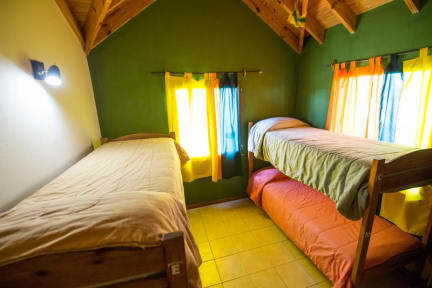 We offer different options for your accommodation: 6 and 4 bed dorms (with lockers) and double / triple rooms with private bath. Whatever you choose, we include breakfast, free internet access, WI FI, as well as sheets, daily cleaning service and luggage storage. You`ll be delighted with our BBQ , our asado, in our QUINCHO! This is where we get together, can meet other guests and exchange traveller`s experiences. Our QUINCHO includes a fully equipped kitchen. Get to know our Calafate, the estepa and the outstanding glaciers! We`re a bilingual staff willing to answer all your questions. We have all the info you need and can help you plan all your trips so you can make the most of your time!